1.In low lift valves, the disc only lifts a distance of 1/24th of the bore diameter. The discharge area is determined entirely by the position of the disc, and since the disc only lifts a small amount, the capacities tend to be much lower than those of full or high lift valves. 2. 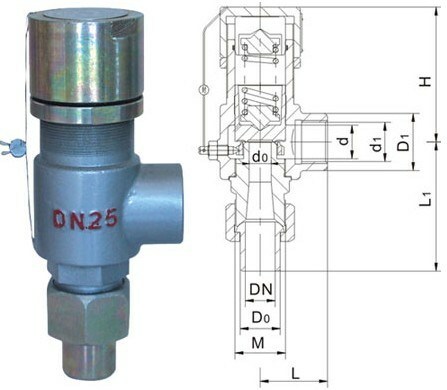 Low lift safety valve opening height is between one twentieth to one fortieth times of the flow diameter. GAA21F,GAA21H-C type are used for the equipment and pipeline of the air, ammonia, petroleum gas, etc. medium what the working temperature are less than 200ºC. GAA21W-P,R type are used for the equipment and pipeline of the quality with corrode gas and liquid medium what the working temperature are less than 200ºC .Take for extra pressure protection devices. KGAA21Y type are used for liquefied petroleum gas what the working temperature are less than 100ºC. 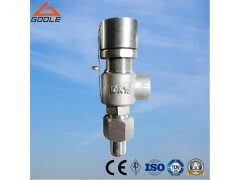 A21H/W/Y Type Spring Loaded Low Lift Safety Valve Main Dimension.